The KONG Extreme Goodie Bone medium can be stuffed with your dog's favourite treats. Great for keeping them occupied and out of trouble! 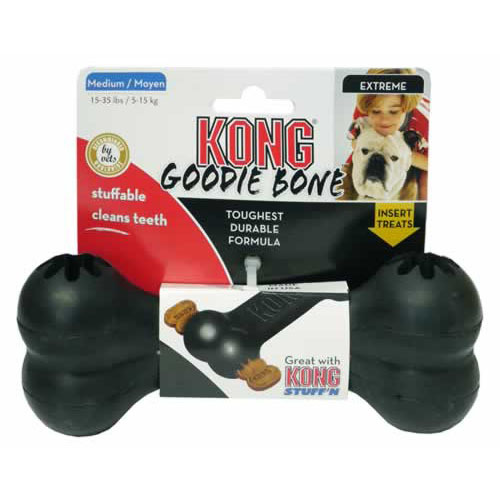 KONG's exclusive, super bouncy, black natural rubber compound is ultra strong are formulated for large, tenacious power chewers. Virtually indestructible.